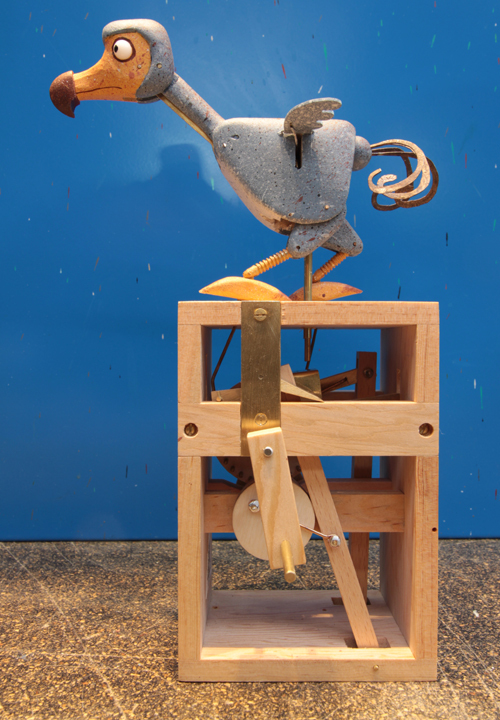 THE FIRST ( AND ONLY ) PRIZE IN THE COMPETITION IS A RAPHUS CACULLATUS AUTOMATA ( SEE ABOVE ). PLEASE SEND YOUR BEST ESTIMATE ALONG WITH YOUR NAME , EMAIL ADDRESS , MAILING ADDRESS AND A CONTACT PHONE NUMBER . THE COMPETION IS CLOSED TO ANYONE THAT OWNS A RAPHUS CACULLATUS ( SORRY ). YOUR PERSONAL INFORMATION WILL NOT BE USED FOR ANY OTHER PURPOSE .